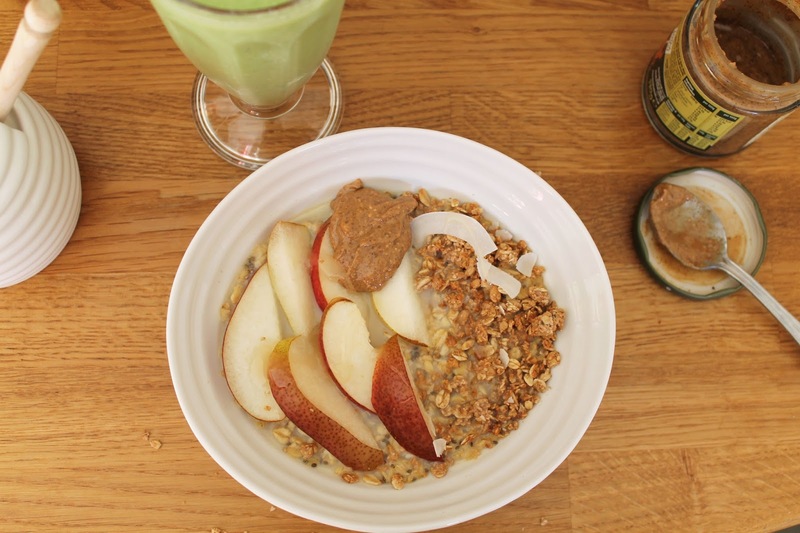 Pear and Honey Porridge | This is Lauren. I love experimenting with the flavours of porridge because there's so much potential and it's always such an indulgent and dessert-like breakfast. I recently bought some deliciously sweet pears, so here's my pear and honey porridge! Place all of the ingredients (excluding the ones for serving) in an ovenproof bowl, make sure the oats are just covered with milk, then wrap in cling film and leave in the fridge to soak overnight. In the morning, pre-heat your oven to 180°c. 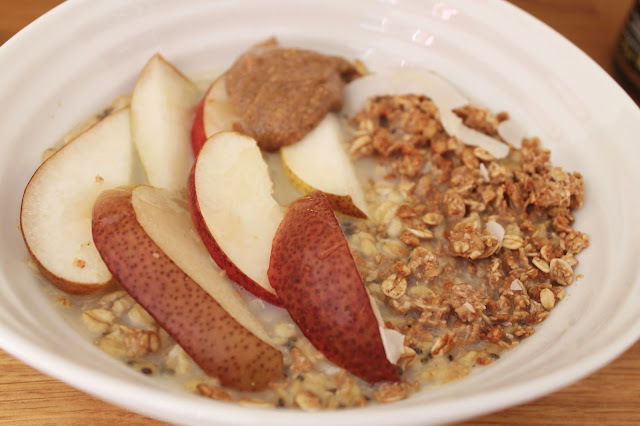 Get your oats out of the fridge, top up with a bit more milk and stir if it looks dry. Add the pear and honey to the top and place in the oven for about 10 minutes, until the pear begins to brown slightly. Top off with almond butter and granola, maybe yogurt if you like yogurt on porridge, and enjoy with a nice green smoothie!